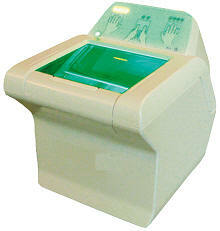 Fingerprint Time attendance system is very useful for offices. We can track all the Daily In-out record along with the working hours, late arrival, early departure, Daily attendance reports, Monthly Employee Performance reports by using attendance software. Reports like daily Attendance Report, Monthly Attendance Report. This device is also available with Battery Backup and RFID card reader as optional Biometric or Card based Time attendance system is very useful for Multi Location / Multi Branches. We can track all the Daily In-out record along with the working hours, late arrival, early departure Monthly Employee Performance reports by using attendance software. 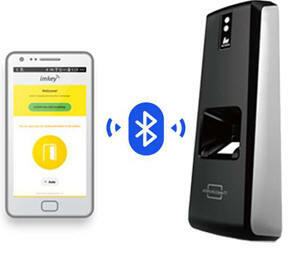 This device will send the data to the central server directly as and when employee punch finger on device. 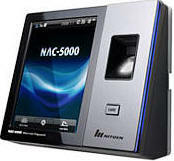 Biometric Time Attendance System is very useful for Factory. Features like Auto Shift, OT , Weekly off , Leave settings of Employee. Attendance reports like In out, Late , Early , Payroll Reports and Employe Performance Muster and more using attendance software. This device is also available optional with Battery Backup and RFID card Reader Fingerprint or card based Time attendance system is very useful for Educational Institutes. We can track all the Daily In-out record along with the working hours, late arrival, early departure Monthly Employee Performance reports by using attendance software. 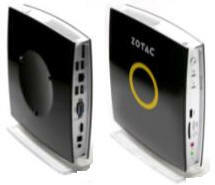 This device is also available optional with Battery Backup and RFID card Reader and with Push Data or GPRS facility. Fingerprint Recognition Terminal (Hamster) is a Biometrics Fingerprint recognition based Time Attendance system with TCP/IP networking capabilities. Hamster consists of a robust standalone Fingerprint terminal with LCD, Keypad, Fingerprint scanner, 800MHz processor, memory, communication and storage capabilities. Hamster does not depend on computer or external resources for its operations though it can work together with multiple Hamsters to provide centralized database and management capabilities. Hamster is equipped robust Optical Fingerprint scanner with high quality fingerprint scanning and long life. It is not a low cost semiconductor scanner which is mainly for personnel use and cannot handle heavy scanning like in Time Attendance systems. Time attendance terminal Time attendance recorder solutions software time clock time and attendance time recording systems Fingerprint scanner India Fingerprint recognition Biometric identification Biometrics fingerprint Id solution lathem timecard timekeeper payclock timecards timesheet timelog softtime etime timetracker kronos mjr 7000 timecentre synel worktime timemaster timelot payroll timewolf rapidprint clocks zeiterfassung unitime clock timetrack journyx timesoft tc100 480f q plus timesheets timeslips punchclock clocking fastime infotronics tr510 timeregistration urenregistratie clockcard amano . Hamster is a system with its own processing and storage capabilities. At the same time it support fast 10/100 base-T Ethernet TCP/IP networking with ability to network with central server and use both on system or on server processing/databases. 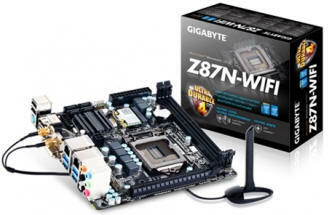 Hamster is very powerful system with 800MHz processing power close to computers. This allow Hamster to support fast 1:N matching where employees are not required to enter ID before matching fingers. Most other fingerprint system though claim to support 1:N matching (fingerprint only) but this is very slow hence they are always used in 1:1 matching (ID + fingerprint). Hamster can offer more then 100 fingerprint matches per second. Hamster has a auto-scanning mode in which users are not required even press ENTER key to to activate scanner. This along with other options can give you very fast transactions to avoid queuing up in morning and evening IN/OUT. 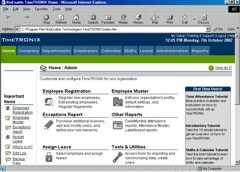 The Time-TRONIX TA software can be easily interfaced with your existing Payroll software. All payroll software accept standard time attendance data produced by Time-TRONIX TA software. This data is provided in MS-access or text format. Most payroll software will accept text data. Time-TRONIX TA software is easy to install and use on windows platform. You can install it on a single computer or on your LAN server to access it from anywhere in the organization. It is also possible to install it on the web server. Time-TRONIX TA software is developed to offer standard Time attendance features and reports. The software has been developed in Active Server pages with large part of the source code kept open to allow experienced administrators and developers to add custom features easily, if required. 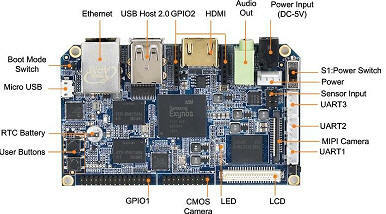 has a dedicated team to develop and support Time-TRONIX TA. We intend to develop it into a comprehensive Time Attendance software with support for wide industries, hence we consider integrating custom features free of cost for our clients, if required. Hamster comes preconfigured and ready to use. Provide power supply to the system and start using. Plug your Ethernet LAN network cable into network port provided in Hamster. You can change few settings and configure Hamster to work with your Ethernet LAN network. It is also possible to configure it to use central database residing on your server in case you have multiple Hamster machines. To do this you can connect standard keyboard and CRT monitor to Hamster and do configurations the way you do with a computer. 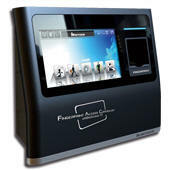 Before registering employees fingerprints, install Time-TRONIX TA Time Attendance (TA) software software on your office computer or server. Register fingerprints of each employee with his unique ID on the Hamster using admin features with MENU key. Hamster is connected to the company's 10/100 base-T Ethernet network and its data is accessible anywhere on the LAN. Hamster can be assigned its own IP address. Hamster eliminates proxy punching, very easy with card based time attendance systems. Card based systems only ensure that the card was punched or swiped and does not ensure physical presence of the person which is a major loophole. 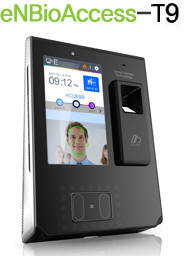 Fingerprint system ensure physical presence of the employee. Hamster is developed with needs of medium and large size companies in mind with large electronic infrastructure, complex architectures, dedicated administration free functioning and easy integration with existing resources. Hamster help you significantly reduce administrative costs associated with issuing and managing cards, timesheets or attendance registers. 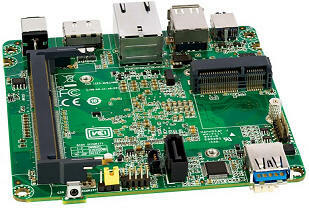 Time-TRONIX TA is a robust and reliable system. 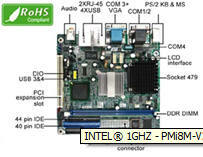 Since it is a complex high-end system it does require service and support. 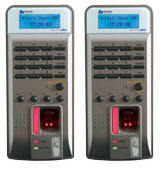 Hamster is standalone Fingerprint recognition based Time attendance terminal with advance features and networking capabilities. It is expected to be used by Medium and large size companies who intend to use advanced products and eliminate proxy punching. Q. Can we use Hamster for Access control? Yes, Time-TRONIX TA can be used for applications where you need both Time Attendance and access control but Time-TRONIX TA has been designed and developed with Time Attendance as main requirements and may not be suitable for some access control environments. Hence you need to confirm and specify in order if you intend to use it for access control also. Access control is at present optional feature. Q. Is Hamster a complete Time Attendance package, do I need to purchase anything else? Yes Hamster is a complete Time attendance package with hardware and software required for basic time attendance requirements of small and medium companies. Time attendance package only offer time attendance reports and does not do payroll processing. Q. Can we install Hamster as s fully standalone machine without any network connection? Yes, Time-TRONIX TA is developed to work completely standalone and it is not dependent on any network resource for its functionality for standalone operations. Q. Can we network Hamster on our existing computer network? 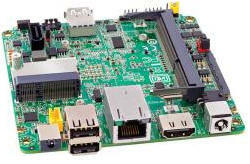 Yes, Time-TRONIX TA uses same networking technology as computers and support TCP/IP connection on 10/100 Base-T Ethernet networking with standard RJ45 connector. You are not required to setup separate network or cables for Hamster, just plug one of your network cable into its RJ45 jack and configure it as per your network settings. You can assign network IP address to Hamster. Q. Does Time-TRONIX TA support RS232, Wiegand and RS485 communication? No, RS232 and RS485 are old ways of data transfer and communication. Time-TRONIX TA is an advanced system and support TCP/IP networking which is much faster and cabling infrastructure for the same already exist in almost all business organizations today. Hence Hamster does not support RS232, wiegand or RS485 communication. Q. Can we network multiple Hamster to use single database residing on our server? Yes, You can configure Hamster to use database of fingerprints residing on the server instead of its own memory. This allow you to maintain single database in case your are using multiple Hamster's In future versions we also plan architecture where fingerprint matching can also be done on the server. Q. What can be maximum distance between Hamster and Server? Q. What is battery backup available with Hamster? Hamster being very powerful system consume lot more power compared to standard standalone fingerprint terminals, hence it is not possible to run it on small compact batteries. It is better to run Hamster on inverters/UPS systems which provide AC current. Hence you are recommended to use your existing UPS system for power backup or install small UPS for Hamster. You can end clear Software requirements specification to RaviRaj Technologies, we will evaluate your requirements and in case we find that these change may be useful to many clients in future we will do this free of cost for you. For other changes we charge nominal service fees. You can also integrate these features yourself if you have knowledge in ASP programming. We does not provide engine/wizards to automatically add rules of generate reports, but if you have ASP programming skills you can easily add new reports. No, Time-TRONIX TA software is browser based and once installed on a computer or server it can be accessed from anywhere on the LAN through browser. RaviRaj Technologies is continuously working on Time-TRONIX TA to integrate new features and also provide you with large part of the source code which allow you to take control of the software and integrate additional features of your choice yourself or through your development partner. hence your investment in Time-TRONIX TA will give you long term returns. Q. Do I receive free upgrades to Time-TRONIX TA time attendance software? Q. What warranty is offered for Hamster? One year replacement warranty is offered for Hamster. Q. Can we purchase Hamster without Time Attendance software ? Can we use our own Time Attendance software with Hamster? Time-TRONIX TA Time Attendance software is included with Hamster by default as a package. You will pay the same price for Hamster whether with TA software or without it. Yes, you can use your own TA software with Hamster, Hamster provide your with log reports in many standard formats which are suitable for most TA software. Cross Cat5 Ethernet cable to connect Hamster with a PC for testing etc. Time & Attendance: Offices, Factories, Government Airports, Defense, Data centers, Homes, Server room, office, Lockers, Safes etc. Copyright � 2017 RaviRaj Technologies, All rights reserved.